GC3 Security & Control Panel -The Newest form 2GIG. The next generation security & control platform. 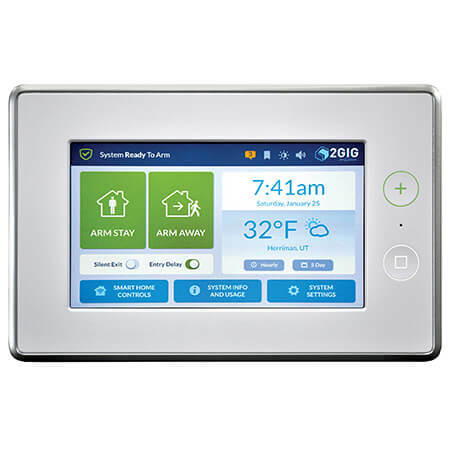 The 2GIG-GC3-345 is the ultimate security and home automation control panel. 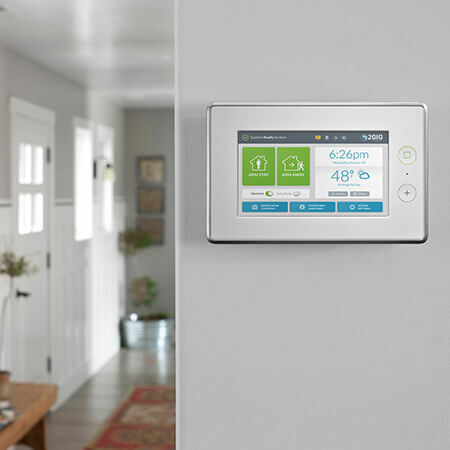 Complete with full voice response, quick access, remote options and more, this is the perfect system to give you peace of mind. The GC3 panel features 100 wireless zones, 100 user codes, our patent-pending CellSled(TM) cellular radio that can be installed via a side-panel door. 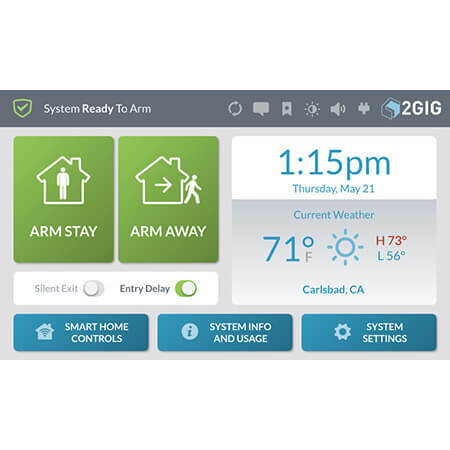 GC3 also has a USB port on top, for updating firmware plus dozens of new features like user bookmarks, ‘rooms’ for fast automation, and one-touch arm/disarm. The kit includes the most popular add-on products homeowners want: A PIR motion detector, 3 compact door-window sensors, and the 4-button Key Ring key fob. This system has it all. It allows remote system management from a computer or any iOS, Android, Windows, and Blackberry smartphone, or tablet. 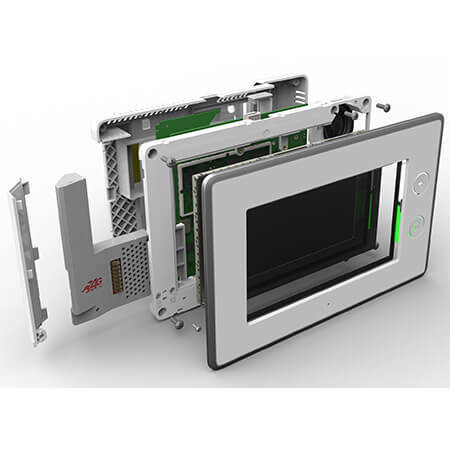 In case of emergency, the One Touch access screen is a handy addition – and great safety sell. Users can receive clear notifications that indicate system status, zone descriptions, alarms, and emergencies. Scroll through date, time, and real-time forecasts with the security of receiving severe weather alerts in the event of a tornado, tsunami, or wildfire. And don’t worry about this system becoming outdated. It’s virtually future-proof. Its over-the-air function allows for the latest software updates via cellular radio or update cable. In addition, you can take over your pre-existing 319 MHz devices, offering upgrade options.